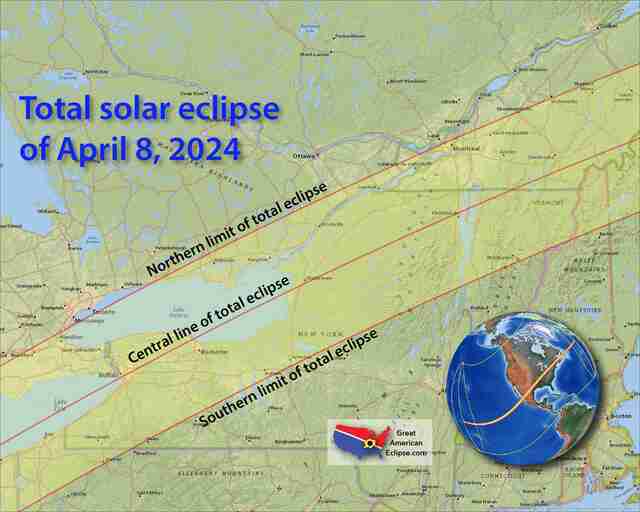 By most accounts, it seems like getting to the recent total solar eclipse's "path of totality" -- the 70-mile wide strip of land that stretched across North America and offered the best views of Monday's total solar eclipse -- was an equally historic mess. There was obsession. There were scams. There was insane traffic. Bonnie Tyler got involved. On the other hand, there was also a lot of fun during the once-in-a-lifetime lunar-celestial dance in the sky. 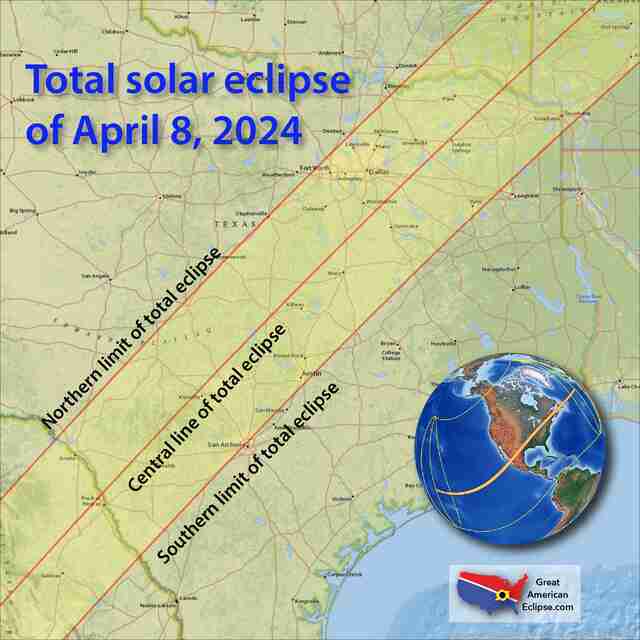 Rarely do we get an opportunity to participate in something so unifying and so liberating as a culture these days, even if the damn glasses sold out, so we can only look forward to the next total solar eclipse, which will be visible across a large part of the country on April 8, 2024. Yes, it will be commercialized. Yes, there will be brands vying for your attention. Yes, the glasses will probably sell out again. But many of us will be together and watch something special, and there's no better place to do that than on the path of totality. Here's what that path will look like in about seven years. Those who followed along this year may recognize Carbondale, Illinois, which will be back for Round 2. Now may be a good time to start planning your trips and ingratiating yourselves to friends in Rochester or Austin. You don't want to get stuck home waving a spaghetti colander over the ground when it's time to look up again. Keep in mind that you'll also might find luck outside major cities. 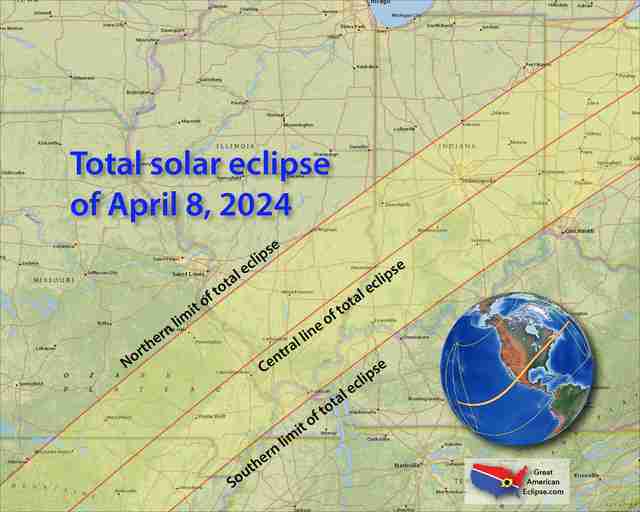 The website GreatAmericanEclipse.com has published detailed regional maps of the 2024 eclipse's path of totality that you can use and blow up to high-resolution to plan your route a bit more. 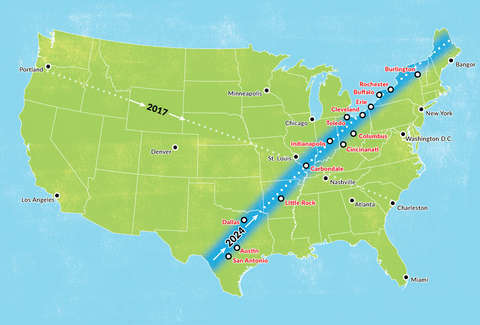 Check out three of the maps below, and head over to GreatAmericanEclipse.com for the additional regions. Make a vacation out of this and spend a few days in Corpus Christi, Texas on the Gulf of Mexico before you head up to the path. Also, just look at how close Cincinnati, Ohio, is to the path. Rochester and Buffalo will be the big cities in the path, but nearby Syracuse and the rest of lovely Central and Western New York should be on your radar.